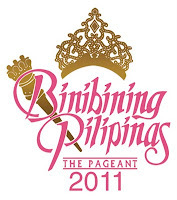 The Binibining Pilipinas 2011 Grand Coronation Night was held on April 10, 2011 at Araneta Coliseum in Quezon City. This year was a tough competition because a lot of the contestants exude beauty, grace, wit and confidence. The judges had a difficult time choosing their winners. Even I was stunned with how the girls carried themselves in each round of the competition and answered the questions of the judges. So far, this is the only year that Bb. 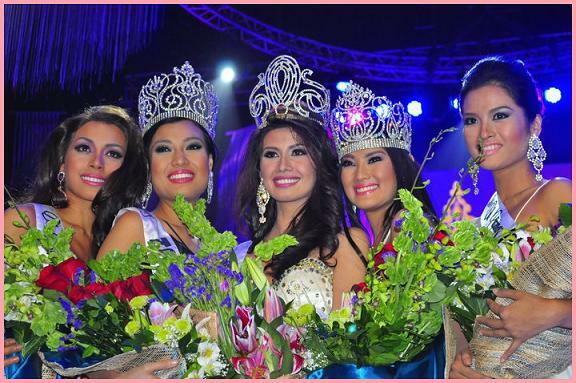 Pilipinas had a very competitive batch ever to grace the beauty pageant. Aired over ABS-CBN Channel 2, the pageant was hosted by actors KC Concepcion and Derek Ramsay together with former title holders Precious Lara Quigaman (2005 Miss International) and Miriam Quiambao (1999 Miss Universe 1st runner-up). Candidate #1, Zephorah Mayon competed at Mutya ng Pilipinas 2007 and crowned Mutya ng Pilipinas Asia Pacific International but abdicated her title. Candidate #5, Jennielyn Natividad was Mutya ng Pilipinas 2009 2nd runner-up. Candidate #6, Patricia Tumulak was Miss Philippines Earth 2009 Miss Fire / 3rd runner-up. Candidate #11, Diana Arevalo was Binibining Pilipinas 2009 Top 10 finalists. Candidate #15, Arabella Hanesh was Mutya ng Pilipinas 2005 2nd runner-up & Philippine representative at Miss Tourism International 2005 in Malaysia but unplaced. Candidate #16, Sabrinne Al-Tawil was Miss Friendship International 2010 placing Top 15 semifinalist. Candidate #19, Wendy Lucas was Miss Tourism Intercontinental 2010 placing Top 12 semifinalist. Candidate #22, Paula Camille Figueras was Miss Philippines Earth 2009 candidate and Turismo Pilipina 2008 candidate. Candidate #29, Krystle Ann Grant was Miss Philippines Earth 2007 Miss Air / 1st runner-up. Candidate #32, Jenn-Roe Gubat was Mutya ng Pilipinas 2009 Top 10 semi-finalist. Candidate #33, Dianne Necio was Binibining Pilipinas 2010 1st Runner-up. Candidate #35, Suzette Hernandez was Mutya ng Pilipinas 2010 1st runner-up. Candidate #40, Monique Teruelle Manuel was Miss Philippines Earth 2009 Top 10 semifinalist.